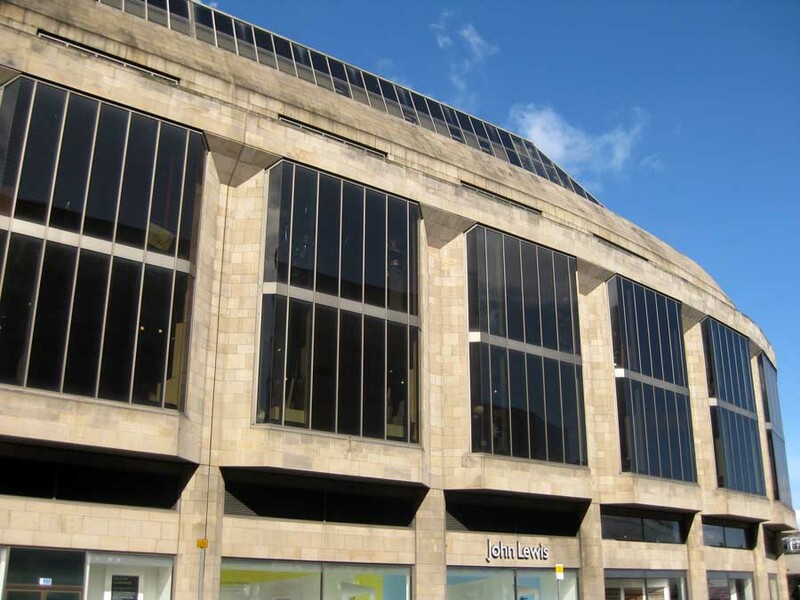 This Scottish John Lewis store is located at the east end of the New Town Phase One. 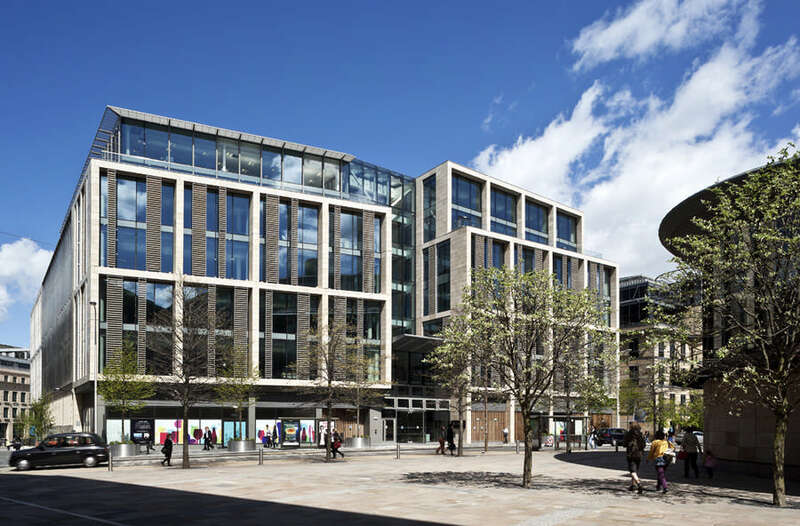 The sandstone facade has a massive scale and simple detailing. 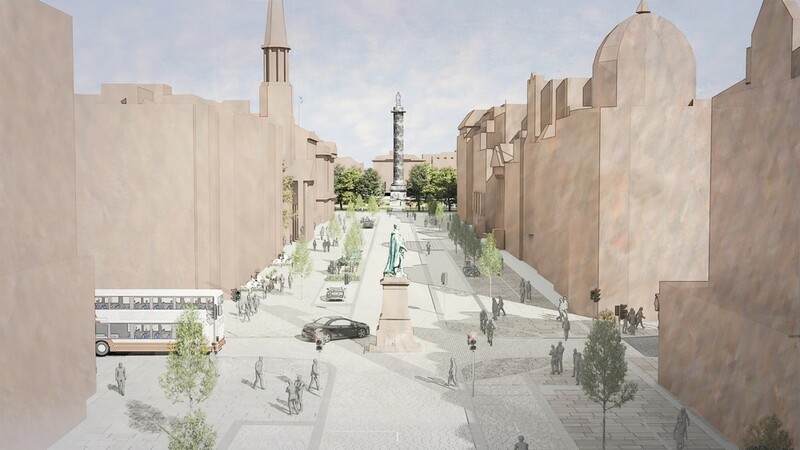 The recent Calton Square opposite relates well to it. 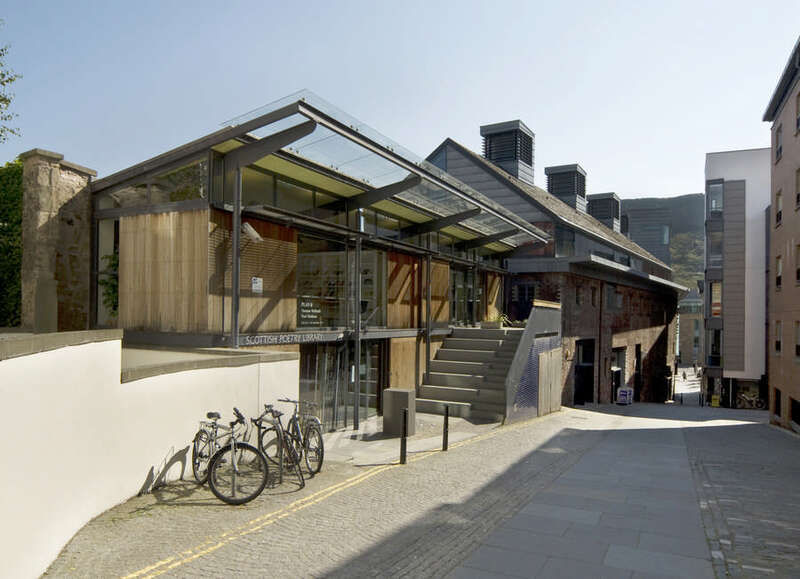 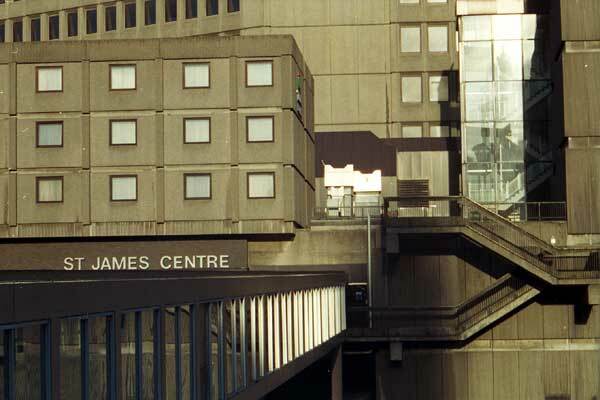 Unlike the ugly St James Centre behind it – often voted the most disliked building in Scotland – this grand shop by Sir Basil Spence Glover & Ferguson has lasting presence. 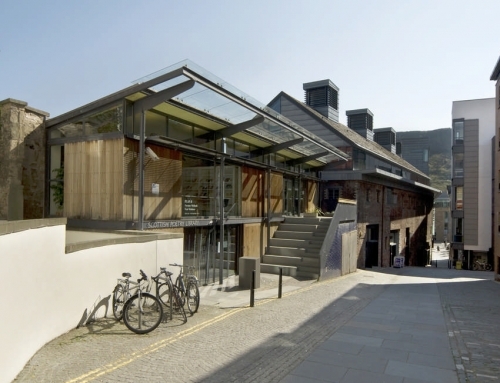 Access to the store from Leith St or from the St James Centre entries. 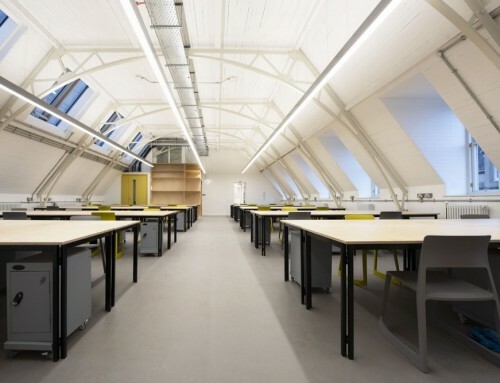 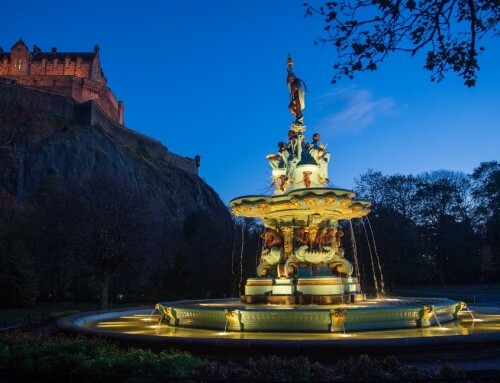 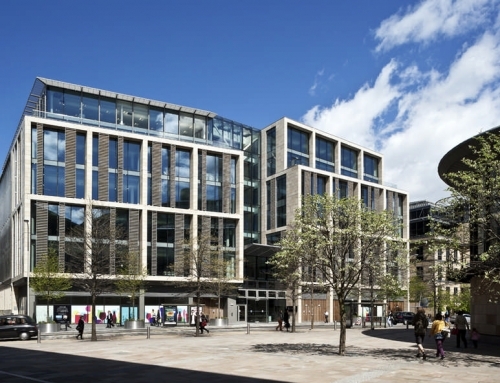 Michael Laird Architects had a scheme for the total redevelopment of John Lewis Edinburgh and the St James Centre site but this failed to go ahead due to the developer’s direction. 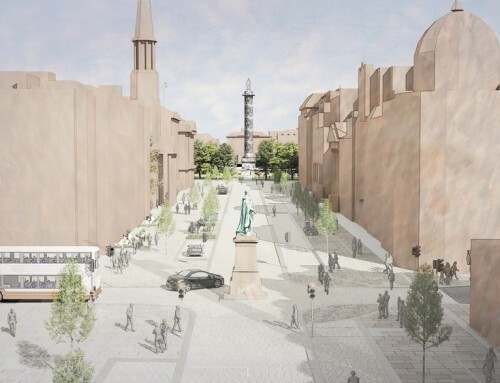 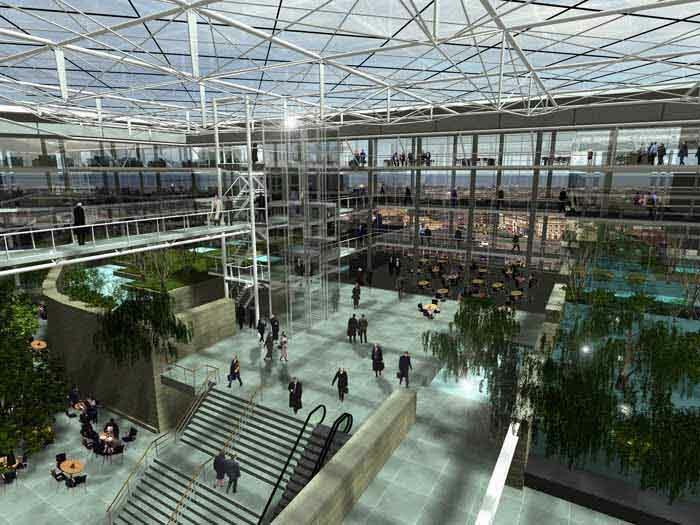 In 2003 Malcolm Fraser Architects and the Cockburn Association plans for Princes Street included the John Lewis Edinburgh store and in late 2004 Broadway Malyan Architects – who designed the Leith Street Bridge which accesses the St James Centre shopping centre – were reported to be drawing up plans for New Town Shopping along the lines of the Malcolm Fraser proposals. 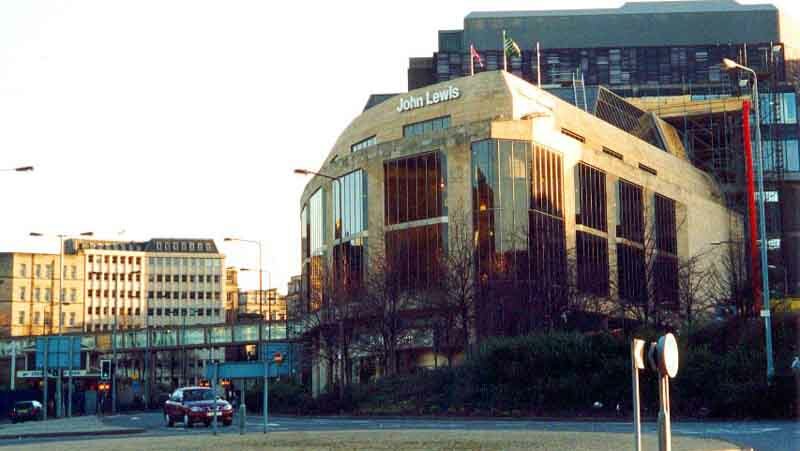 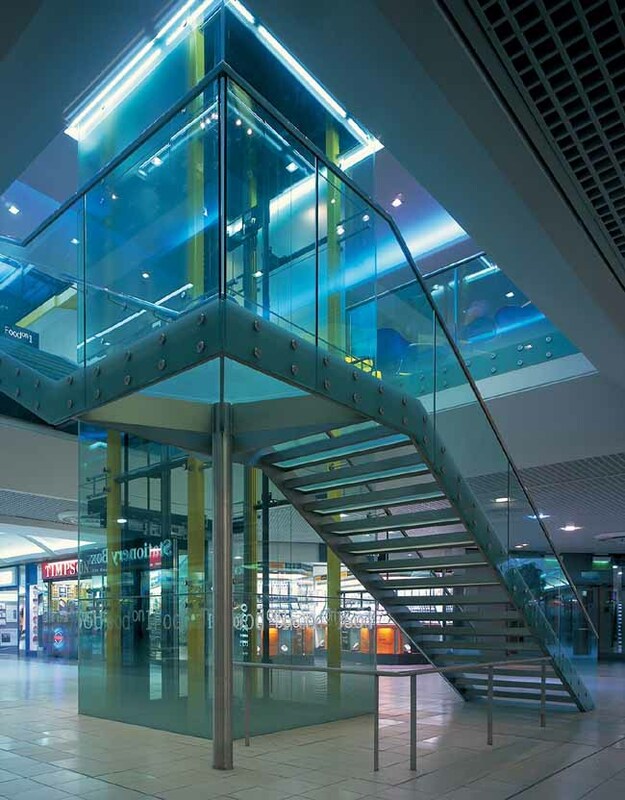 John Lewis underwent a £25m redesign in 2003-2004, expanding its store area at the St James Centre by a fifth.